Elizabeth Warren isn't throwing her hat into the ring, but she wants whoever is running in 2016 to make middle-class families a priority. 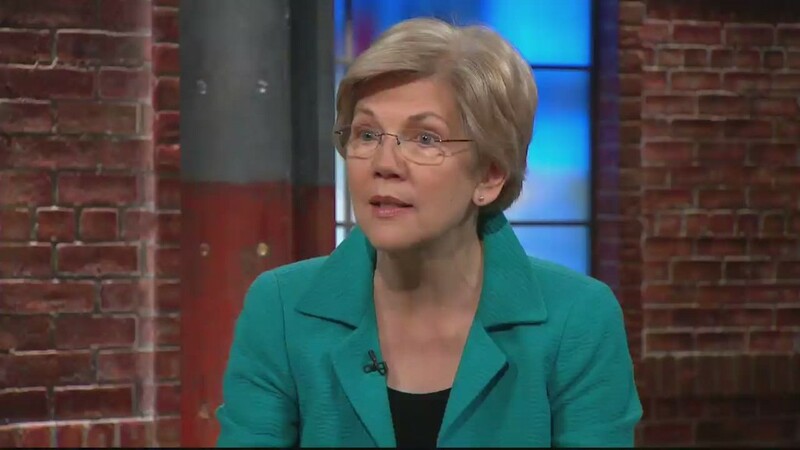 Year after year, they take one blow after another, Warren said on CNN's New Day on Friday, where she appeared to talk about her book "A Fighting Chance." "We live in an America now where the game is rigged. Where Washington works really great for those who hire armies of lobbyists, armies of lawyers. It's just not working so well for the rest of America," she said. Warren wants candidates running in 2016 to talk about how they'll change that and "make Washington work for families again." The Democratic Senator from Massachusetts has long been a champion for the middle class, advocating for a higher minimum wage, making education more affordable, and protecting benefits like Social Security and Medicare. Many of her supporters hope she would run for President, challenging Hillary Clinton, who is expected to announced her candidacy on Sunday, for the Democratic nomination in 2016. But Warren has consistently said she isn't running. And she wouldn't throw her support behind anyone on Friday or in the near future. Only Republicans Ted Cruz and Rand Paul have announced their candidacies. "In my view, [they're] out of the running for really working for middle-class families," Warren said.